Exercise your imagination with this amazing sticker book about dressing up. It has more than 250 reusable stickers, including GIANT stickers! 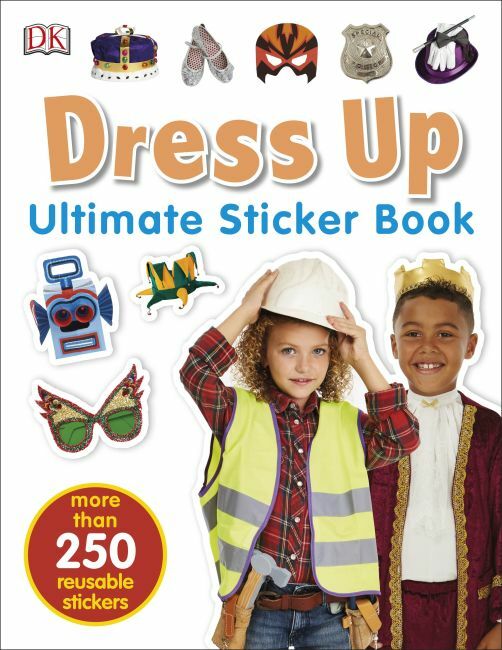 Packed full of dress-up ideas for all of your favorite costumes, from robots and police officers to astronauts and superheroes, this book's more than 250 reusable stickers will get your imagination in gear. Help a prince and princess find their way through the wood, rummage through the dress-up box to put together your ideal costume-party outfit, and more!